Solid hardwood floors are made of planks milled from a single piece of timber. With the increased use of concrete as a subfloor in some parts of the world, engineered wood flooring has gained some popularity. However, solid wood floors are still common and popular. Solid wood floors have a thicker wear surface and can be sanded and finished more times than an engineered wood floor. It is difficult to compare solid wood flooring to engineered wood flooring due to the wide range of quality in both product categories, particularly engineered. Solid wood can be used with under floor radiant heating.However extra care is necessary with the planning and installation of the heating system and the wood flooring, such as limiting the temperature to 85 °F (29 °C), avoid sharp temperature fluctuations, utilizing an outdoor thermostat to anticipate heating demands, and monitoring the moisture content for the subfloor before installation. There are some characteristics that are common to each category: solid wood is always in a plank format, is generally thicker than engineered wood, and is usually installed by nailing. Engineered wood is more frequently installed with glue or as a floating installation. 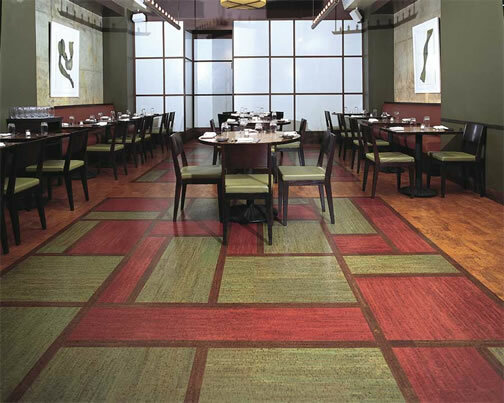 Engineered wood flooring has other benefits beyond dimensional stability and universal use. Patented installation systems allow for faster installation and easy replacement of boards. Engineered wood also allows for a floating installation where the planks are not adhered to the subfloor or to each other, further increasing ease of repair and reducing installation time. Engineered flooring is also suitable for concrete and radiant heating systems.